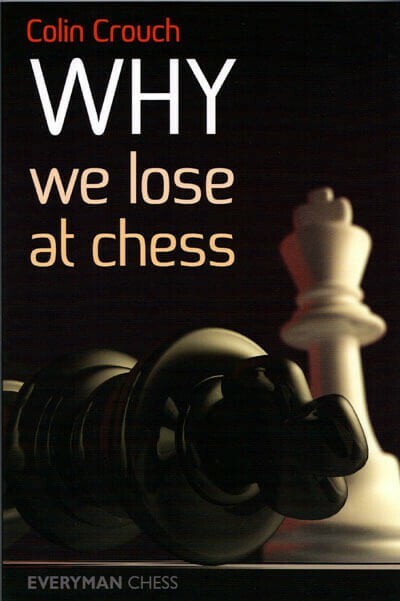 Book DescriptionThe main reason why we lose at chess is no big secret: we all make unnecessary mistakes! But simply acknowledging this fact isn't enough to help us improve. The big question is, how can we eliminate these mistakes from our game, or at least keep them to an absolute minimum? Colin Crouch tackles this vital subject face-to-face. Drawing upon his considerable experience, he looks back at critical moments within games where mistakes are made, and examines how we can recognize the danger signs and avoid making impulsive decisions. The reader is constantly challenged by exercises, which provide perfect training for real over-the-board battles.